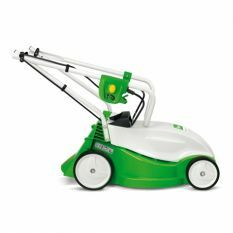 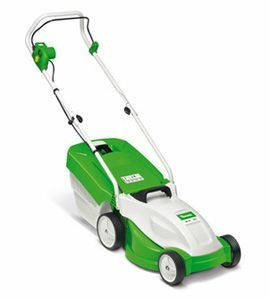 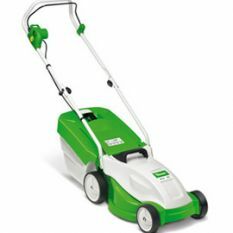 The ME 235 electric mower comes up trumps on small lawns: a narrow 33 cm cutting width and a weight of only 13 kg makes it particularly manoeuvrable and easy to steer around flower beds and bushes. The lownoise 1.2 kW motor mows cleanly and efficiently. 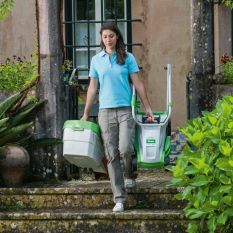 The cutting height can be adjusted centrally to one of five settings, while the easy-open 30 litre grass catcher box with integral level indicator is particularly easy to empty.